This year, I thought instead of my usual year-end recap and honoring ritual of simply writing about my experiences, I’d share it all with you in the form of what music I discovered in 2014—what moved me, what helped me, what uplifted me, and what kept me going and/or focused on my Core, my Foundation. These are not necessarily music that came out in 2014, but music that came to me in 2014, and therefore reflect images and glimpses of Who I Was and Where I Walked this year. Music is such an important tool for moving and processing energy, both by allowing it to flow through and be felt throughout your entire being as you listen to it, and by creating music yourself, channeling and expressing the energy inside of you, giving the energy within you a place to be blessed, healed and winged. I began teaching myself acoustic guitar in early 2014, and have found it very healing. I don’t have any of my own songs to share with you yet, but perhaps by this time next year I shall! From its beckoning invocation of Jagadeesha—basically praying, “Come, Everything—sit and enjoy this offering!”—to its parting encouragement of Walk Quietly, Trevor Hall’s Chapter of the Forest was the first and foremost masterpiece that gave voice to my Heart in 2014. 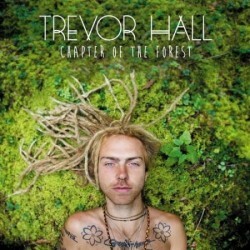 Trevor Hall’s sincere Heart and energy poured into songs that were born from his own journey of re-centering immediately seeped into my own Heart, as my own. From the first time I sat with this album straight through, each track in perfect order brought another wave of tears to my eyes. Many of you know what my family and I have been through the past two years, and the blind courage it took to continue on. There were many, many moments of feeling completely overwhelmed and utterly lost—lost in knowing what to do next, and lost in our faith. Yet every time Trevor’s Green Mountain State mantra chanted, “There’s a way, there’s a way, there’s a way, there’s a way,” I felt that energy-strand of Hope, and chose to hold it—had the strength to hold it, and continue on! In the midst of this chaos, can you still find a way to love? To accept this present moment? To simply be? When we can do this, we touch the Universe. We touch Divinity with our bare hearts, and are melted all over again. With this complete surrender to All That Is comes an even deeper sense of direct connection with the All, and the realization that we were never separate to begin with—even in the midst of the chaos! We are able to see that all has been well and perfectly in place, even if it was unable to be seen from our perspective in the moment. All has always been well. We were never endangered to begin with. The Chapter of the Forest track is also special to me personally because of its call to return to the simple nature and example of Mother Earth. My shamanic roots were stirred and re-awakened every time the chorus began, “No more books, no more empty words, no more running away from Her. I now learn from the wind and rain, from the song of the lion’s mane…” Our connection to and relationship with our planet bears far more importance than we give energy and respect to. This must be maintained. I happened across Hayley Sabella on NoiseTrade—which has quickly become my favorite place to find and discover new music and unknown artists—as our lives and chaos finally began to simmer down in late summer, early autumn, and I felt able to breathe and begin to assess where I now stood, and who I now was because of the experiences and accompanying emotions. I’d definitely discovered I had more inside me than I was ever aware of, and a strength and “grown-up” capability to accomplish… anything. She Ecclesiastically ends this song with reminding herself how short time really is, and that every moment counts in this brief existence: “Before the moon and stars have darkened, and the clouds come to rain again, and the guards are outside trembling, and the strongest backs are bent; before the windows have dimmed and the doors are shut tight and desire is filled and the songs are brought low; before the silver cord is snapped, and the golden bowl is broken; before the pitcher is shattered at the fountain, or the wheel is broken at the cistern; before the dust returns to earth as it was and your spirit returns to the God who gave it—remember your Creator.” Remember who you are! It always comes down to ourselves. We’re born alone, we die alone—we alone are responsible for our own lives. There is no one else to shift the responsibility of our thoughts, words and actions to. Then Hayley kicks it up another few notches, and hits a pure, intimate, mystical connection with the Divine for the rest of the album. The album begins to draw to a close with the simple, no-nonsense “Stop. See. This is just not what you were created for. Stop. Breathe. Take a breath for the first time as a child” of Speak To Me Loud. The shamanic connections of physical and nonphysical lace through for me once again with “Hey! Are you listening to the bristling of the trees as the breeze blows through?” We have never been, and can never be separated from… everything. The soul-soothing stringed instrumental of Striving After Wind serves as the intro to the final track, Brother, which I think may be my favorite on the whole album—a soft, acknowledging, encouraging, loving song reminding one last time that the power is our own, and has been all along—that no matter what arises, we are who we are, and can walk through with head held high. This is what makes me cry, every time, still, my body and Heart telling me that this is where I am healing, this is what I’m working on most. This is the foundation I am rebuilding my Kingdom on. 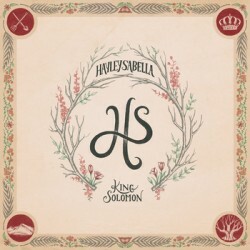 The King Solomon album is a masterfully produced, perfectly arranged, work of art, straight through, and the emotion and depth with which Hayley Sabella performs each song leaves absolutely no doubt that she personally wrote and lived each one. Not all music has to have such meaningful weight to it though—all sorts of music is needed at different times for different energy-moving purposes… or simply for fun! 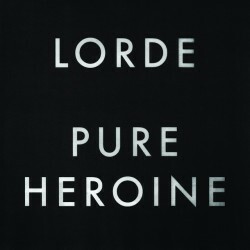 Lorde’s Pure Heroine album is another that snuck up on me in 2014, and blew me away. Here is this 18 year old girl with a huge, amazing voice, mega-creative lyrics, and wisdom beyond her years—definitely a part of the new energy this planet is trying to shift to: an energy of authentic, self-empowered freedom. This music came to me as everything in our lives was smoothing out, and new balances, routines, and worldviews were being found and felt out by me and my family. The well-mixed vocals and simple fun-ness of it felt like a celebration and rejoicing to me, while still honoring the goals and principles we work toward.